Extraordinary design by Philipe Tournaire, master jewelry designer. 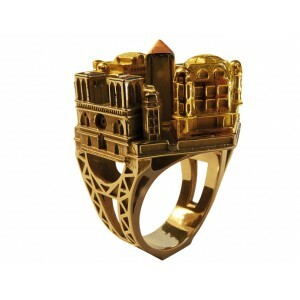 Each ring created puts a miniature city at the tip of your fingers. His shop is located on the beautiful Place Vendome in Paris. 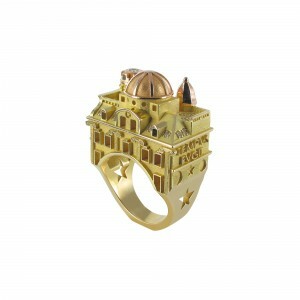 For more designs by this French master jeweler, go to http://www.philipetournaire.com.